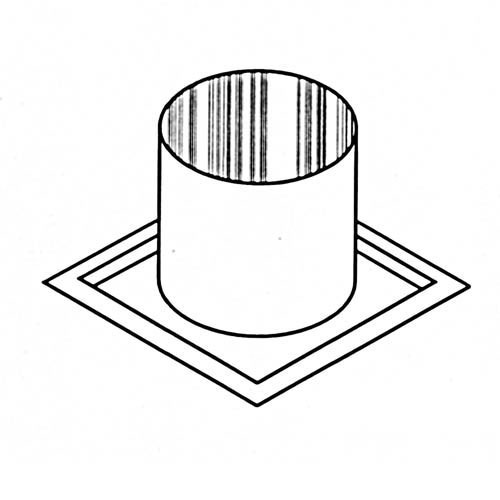 IHP/Superior Wood Fireplace Firestop Thimble for 12 Inch Chimney Pipe. Only IHP/Superior Chimney Wood Fireplace Chimney Liners and Chimney Liner Accessories are approved for use with IHP/Superior Wood Fireplaces. They are UL approved and are not for use with any product other than IHP/Superior Wood Burning Fireplaces. Is this single, double, or triple wall, and is it stainless or galvanized steel? This thimble uses a single wall of galvanized steel as a shield.